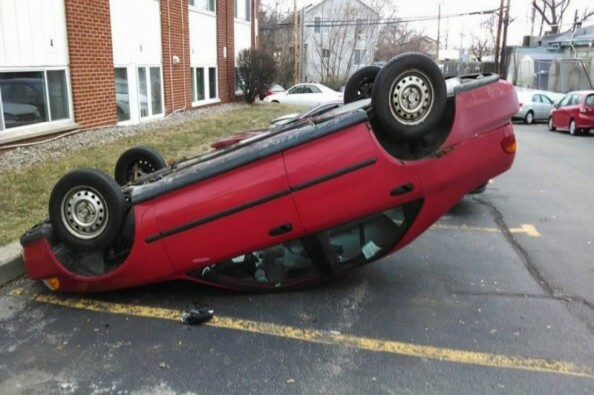 MSU student raising money for damaged car. After Michigan State stunned Ohio State 34-24 in the Big Ten title game Saturday night, students flooded the streets of East Lansing to celebrate causing fires, flipping cars, and damaging property. In Sparty solidarity, one student started a website to help a fellow Spartan, Steven Ripley, cover the cost of his overturned vehicle—presumably wrecked during the celebratory riots. To date, website creator Karen Wood has raised over $3,000 and ensures 100% of the proceeds will go to Ripley and his automobile fund. If you were part of the unruly crowd this past weekend or you happen to know Steven and you are in the giving mood, please donate HERE to help him get his car back together.